The SPPHAV offers competitions and breed classes at agricultural and open shows throughout Victoria for pure and partbred Standardbred. 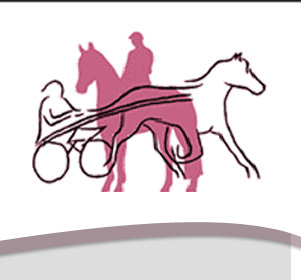 Harness Racing Victoria (HRV) sponsor the HRV Perpetual Trophy , the SPPHAV'S highest award offered for the show season. Performances at HRV designated shows acquire points that go towards the awarding of this trophy. HRV shows are marked with (HRV) in the calendar below. The four shows that form the Victorian component of the Standardbred Horse Association of Australia (SHAA) National High Point Competition are marked with (NHP) in the calendar. Please note that most dates for the agricultural shows in the calendar are based on shows listed on the VASA website www.vicagshows.org.au. It is wise to call the shows you plan to attend to: (i) check the date and starting time of the ring and (ii) ask for a copy of the show program to be posted (or download from their website) to you so you can pre-enter - often at a slightly cheaper price per class ticket. For your convenience we have listed contact information and website details in the show calendar below. The SPPHAV show season commences on July 1 and ends on June 30; however the listing below is an ever changing document. TUESDAY 29 AUGUST 2017 AT 5PM.